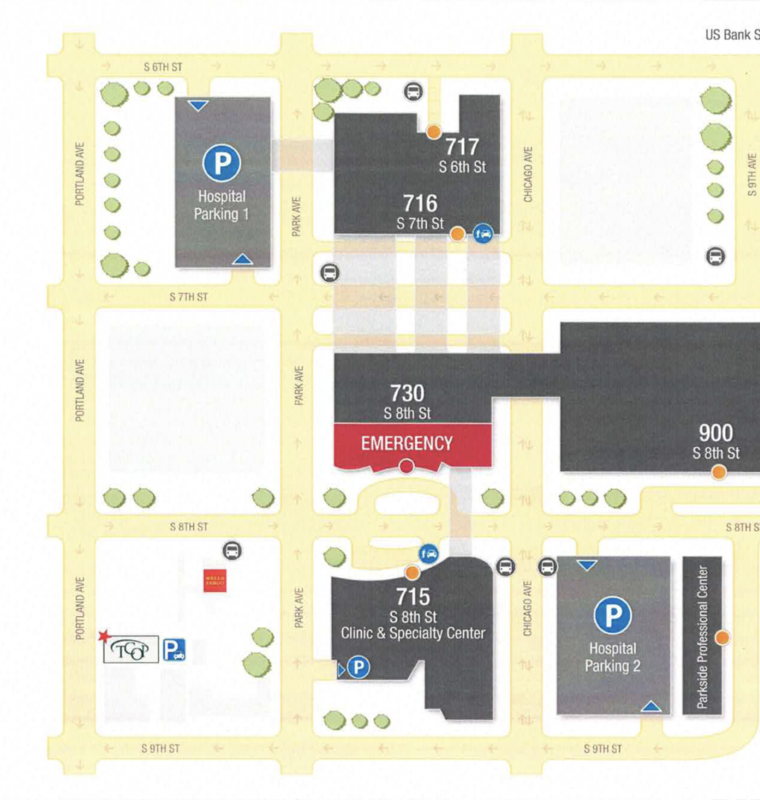 Locations - Tillges Certified Orthotic Prosthetic Inc.
TCOP patients can park in the parking lot behind our building. The lot is located in an alley immediately before/north of the TCOP building when approaching from Portland Ave. Turn left into this alley and you will find our parking located directly behind our building. Please note: parking in this lot is very limited. **Wells Fargo Bank lot is not open for parking.